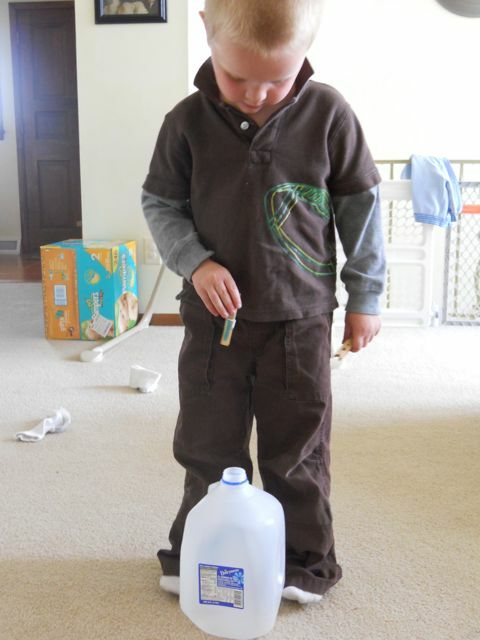 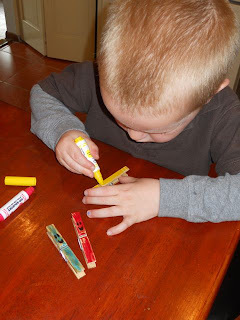 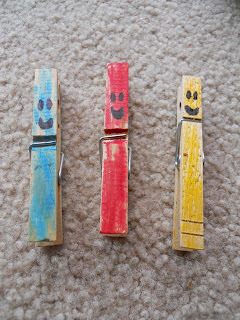 My son colored three clothes pins - one blue, one red, one yellow -- with markers. 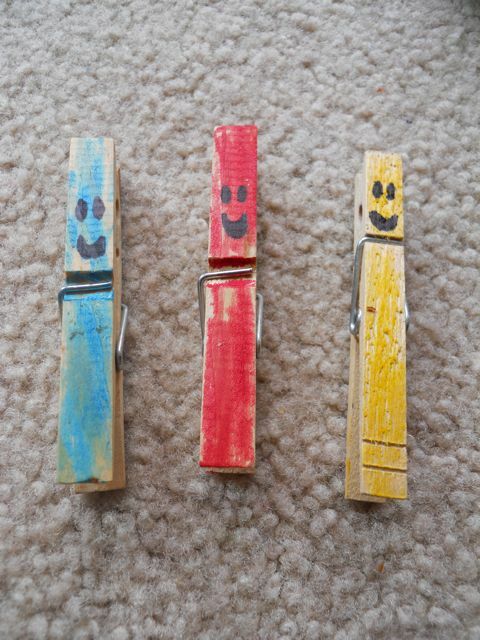 I added the Three Ghost Friends faces with a black Sharpie marker. 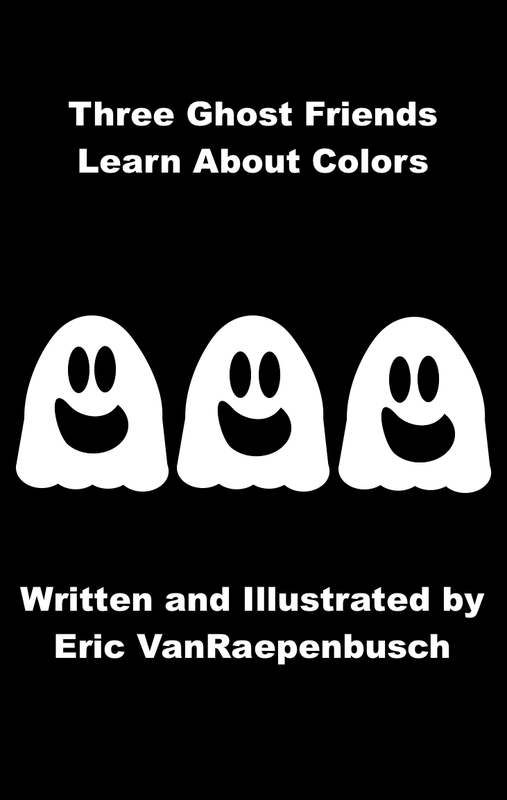 In Three Ghost Friends: Learn About Colors, the ghosts turn the primary colors after eating fruit -- blueberry, strawberry, banana. As they play, they learn about the secondary colors -- purple, green, orange. 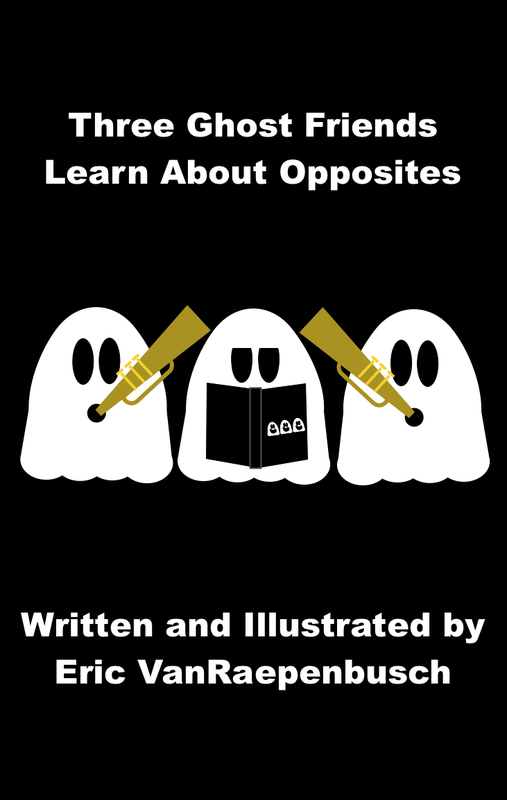 The ghosts find out that changing colors can be fun but they really want to be white again.